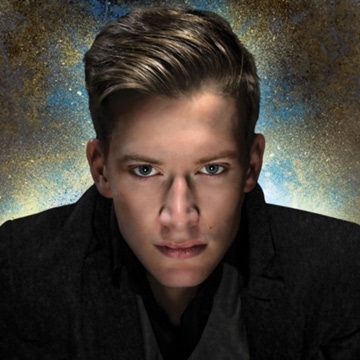 Scotland’s internationally acclaimed and award- winning comedy star Daniel Sloss is riding the crest of a wave following the worldwide stream of his two Netflix specials ‘’Dark’’ & ‘’Jigsaw’’. Daniel has today announced he will return to Dublin with his stunning new show ‘’X’’ on November 2nd. Fast becoming one of the world’s biggest comedy names, with 2 hour-long Netflix comedy specials, both released on 11 September 2018, Daniel’s last smash-hit tour spanned 150+ shows across 28 countries around the globe. He has appeared on US TV’s ‘Conan’ a record 9 times, sold out shows at 11 consecutive Edinburgh Fringes (being one of the biggest comedy ticket sellers for the last 9 years), and played 9 solo sold out seasons in London’s West End as well as 4 seasons off-Broadway in New York. Daniel has been featured on Comedy Central’s ‘Roast Battles’ and ‘Drunk History’, ITV’s ‘Sunday Night at the Palladium’, gave a ‘Tedx’ Talk and recorded a DVD (aged 20). Still just 28, this is his brilliant 10th solo show, which comes with a warning that it deals with some challenging contemporary themes and is getting 5 star reviews.